Just in case you turned on a tv or read a newspaper, today is the date that Marty McFly went to in Back to the Future II. We are living in the future and you know this because you rode your hoverboard to work after you parked your hovercar. Of course that's after your shoes laced themselves and your jacket dried itself. All jokes aside, we live in an awesome future and today we decided to look back to our newspaper insert from October 1985. If you weren't sure of it before, this will show you just how far we've come. Anyone need a new VCR? 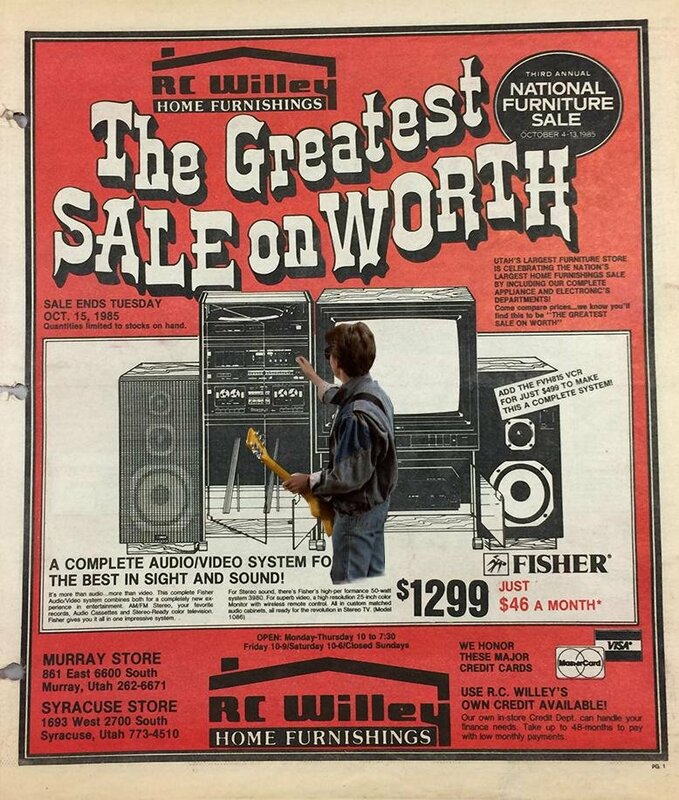 Check out this awesome sound system with a 25" color tv!!! Only $1299! Remember that camcorder Marty was filming Doc with? 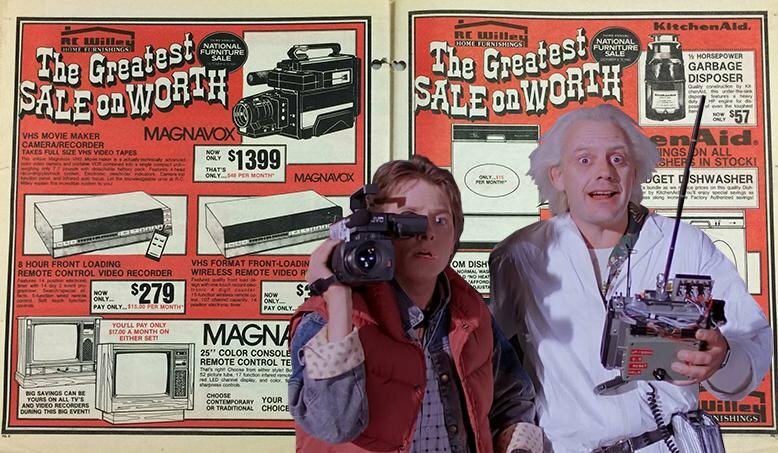 It shot on full size VHS tapes and only set you back $1399! 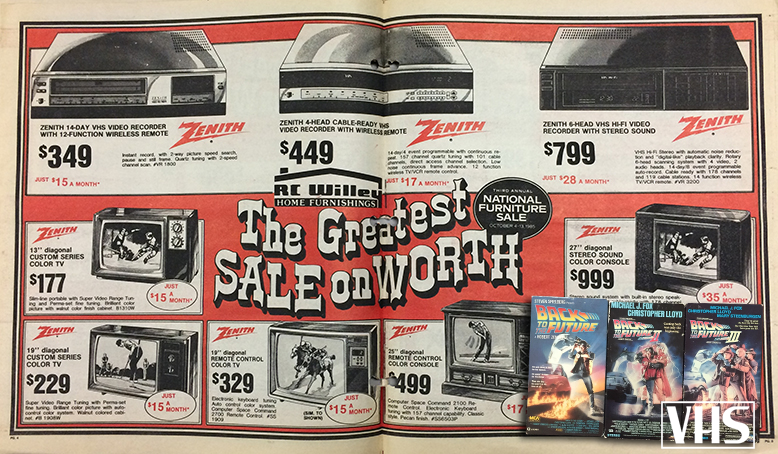 VHS was so hot in 1985 and a 27" TV was considered big! 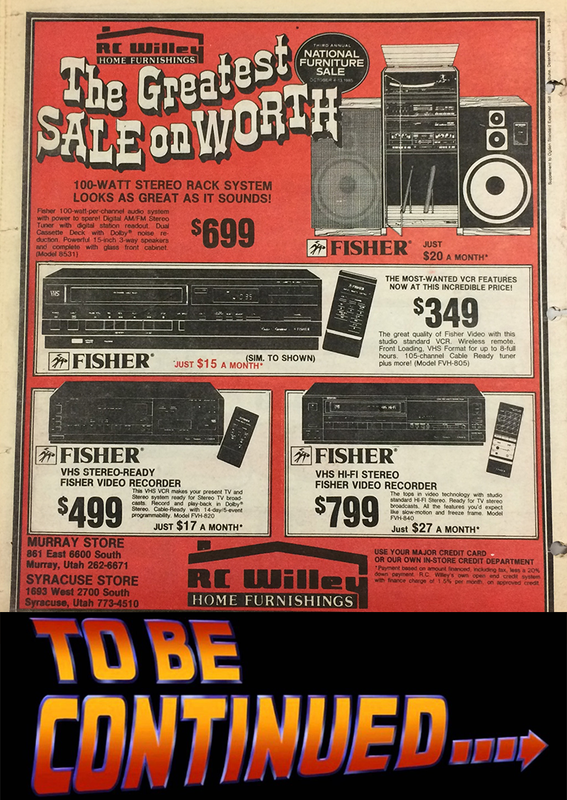 After looking at all these products that seemed so advanced back in the day it makes me wonder where we will be in 30 years. All I know is it's going to be cool. 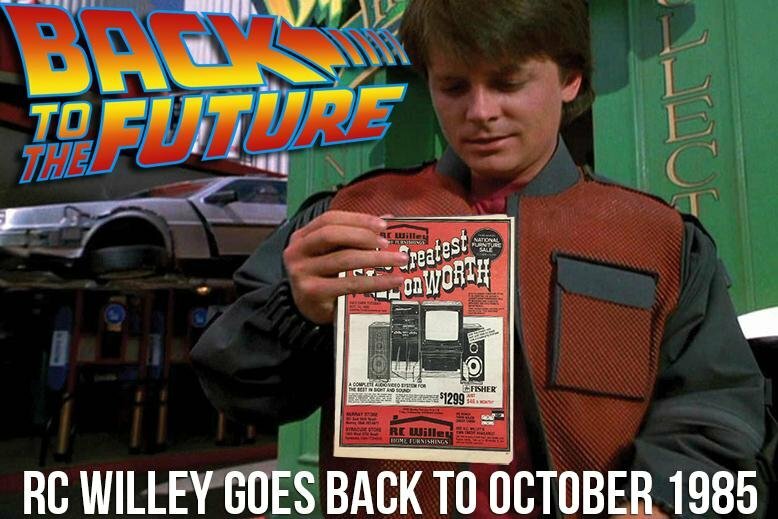 Happy Back to the Future Day to all the fans out there and thanks to Raeleen, the RC Willey archivist, for taking care of our old ads all these years. 5 Home Decor Trends You Need to Know About! Free Pumpkins at RC Willey! Cozy up with an electric fireplace!